On Thursday 26th September 2013, Amit Singhal, Googles VP of search announced what could potentially be a game changer in the world of serach, Hummingbird. This is the third significant update in recent years along with Panda which proactively took pages out of the index which had low quality or duplicate content and Penguin which has been focusing on sites which had been involved in dubious link building. The new Hummingbird update was actually rolled out from 26th September 2013, although like most Google updates, it probably started in the US and reached the UK several days later. It’s been said to affect 90% of search queries and to be the most significant update in the last 10 years. So this is certainly one to keep a very close eye on! So What is the Google Hummingbird Update? Well, to be honest it’s early days so there is quite a lot of speculation about it, and Amit Singhal did not reveal much either, other than it was the most significant update since 2001. What we do know so far is that it’s been in development for several years and is a new way for Google to deliver search results for the increasingly savvy way that people are searching the internet. For example, in years gone by, a typical internet user who wanted to find a double glazing company might just type Double Glazing into the search engine Of course, this would return results for companies across the country along with a few directories such as Yell and even DMOZ a few years ago, more recently you would also see the Google Local results too, this, I suppose, was a warning of the way things were heading. More recently people are changing the way they search, knowing that they need to find someone local they are now far more likely to search for something like Double Glazing Company Swindon, Best Double Glazing Company in Wiltshire, or Who Is The Best Double Glazing Company In 20 Miles. The searches have become much more question oriented, as opposed to keyword based as they used to be. 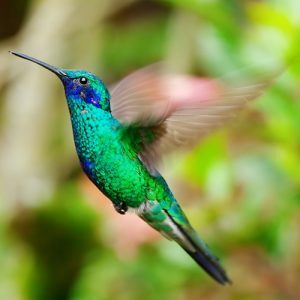 The big difference with what’s happening behind the scenes at Google is that the updates we’ve seen over the last few years have all been improvements, enhancements or additions to the existing algorithm, whereas the new Hummingbird update is effectively a replacement of it. Are there any Assumptions which can be Made Yet? As I already mentioned, the Google Local or Google Places listings have already started to appear for pretty much any regional based searches, so we’ve known for a long time that Google have been paying a lot of attention to regional search terms. They also recently retired the free version of the Adwords Keyword Tool, which we can probably take as an indication that keyword based data is becoming less important. Then in a recent update to the data displayed in Analytics the “Not Provided” number has suddenly jumped up to around 75% in most accounts (I’ve heard stories of people seeing this close to 100% and heard theories that it’s likely to continue rising). So all in all, the signals are that Google is telling us not to focus on keyword based search queries. The fact that the one thing Amit did say is that the new search algorithm is going to present better results for query based searches also indicates that keyword based marketing is on the decline. So what can SEO’s do Moving Forward? Right now, at the point of publishing this post? Not a huge amount, too little is known at the moment, but undoubtedly some of the big search organizations such as Moz or Search Engine Land will be amongst the first to start testing and come up with some theories. For the rest of us (who’s client’s websites haven’t been negatively impacted) it’s business as usual, keep developing good content, although a slant on answering questions would probably be a wise move, stick to the Google Webmaster Guidelines, we must be doing something right, so keep doing it. Like most things in life, I adopt the approach that if somethings working, keep doing it, if it’s not, stop and try something else! At the moment yes, although how Google Hummingbird and internet users behavior develop over the coming years is anyone’s guess, so this could change. But for the time being keyword based reports will still be sent out to clients, although it’s likely that more traffic will start to come from more obscure long tail terms as time progresses. As I always tell people, it’s not where a given keyword in in the results (in most instances) or even how many site visitors you receive, but how many inquiries come in from the site, be it by the inquiry form or telephone. Speaking of which, why not use ours if you are looking for an SEO company around the Swindon area. Now we have another major algorithm update which is changing the nature of search as we know it. Great article.